Increase business velocity with Secure MFT. Connect data across disparate applications and data silos, like CRM, ERP, SCM, RDBMS, etc. From Mom & Pop stores, to Fortune 500 companies - businesses of all sizes depend on RSSBus Connect for secure managed file transfer. Drummond Certified since 2004. Every test, every time. Extensible Managed File Transfer. Secure messaging capabilities including SFTP, FTPS, FTP, OFTP, etc. Governance features provide audit trails for compliance with PCI, HIPAA, SOX, GLBA, etc. Unparalleled integration with a wide range of EDI translators and other third party software. Free Small Business Edition for single AS2 trading partner/port use. Drummond Certified AS2 since 2004. Supports essential capabilities like AS2 VLM & AS2 Restart. Includes support for all major MFT transports including AS2, SFTP, FTPS, OFTP, etc. From installation, to secure partner communication in under 30 minutes. Plug in, configure and go! Powerful enough to solve today's integration challenges, and flexible enough to grow with you. Replace or extend legacy file transfer systems: RSSBus Connect is a full-featured MFT solution that replaces inefficient, outdated, and insecure messaging and file transfer. Track messages across processes: Comprehensive tracking, monitoring, and reporting capabilities, enabling file transfer visibility. Scale messaging as your business grows: From Mom & Pop stores, to Fortune 500 companies, businesses of all sizes depend on RSSBus Connect for secure messaging. Easily integrate with current systems: RSSBus Connect offers total integration flexibility. Use the in-built messaging and translation capabilities or easily connect with other third party software, like including Inovis TrustedLink, Sterling Gentran, etc. Meet compliance mandates: Governance features provide audit trails for compliance with PCI, HIPAA, SOX, GLBA, etc. 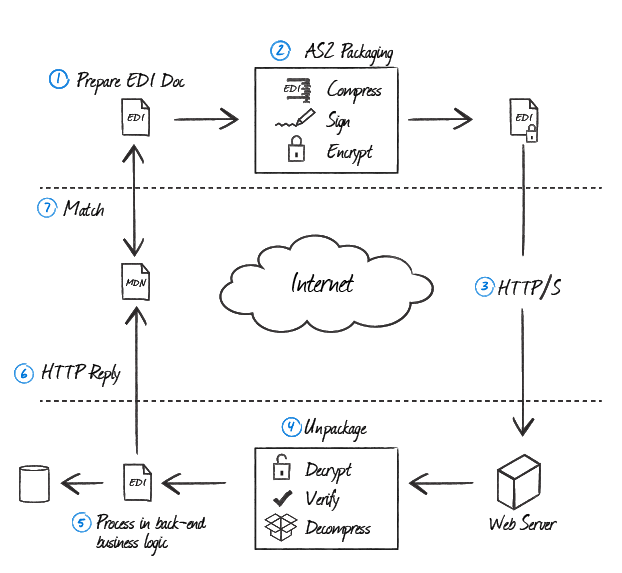 RSSBus Connect supports many different file transfer protocols. Below is a list of currently supported protocols for transferring files. In addition to outbound client connections to remote servers and applications, RSSBus can also accept inbound connections via various protocols. RSSBus Connect has many features which allow automatic transfer and processing of files throughout your business. Pre and post transfer events to kick off workflows for processing files, sending emails, etc. An important part of any managed file transfer application is automatic processing of inbound and outbound files. Below are a few of the things you can do with RSSBus Connect to create workflows to process files automatically within your business. Logging and audit are critical to business processes for ensuring traceability of messages throughout your company. RSSBus has many features that make it easy to monitor data processing and maintain logs necessary for tracking and auditing your business' processes. RSSBus Connect can encrypt and compress files on disk before and after transfer or streaming during transfer in supported protocols.